While hardly a popular dish, the 1000 Plus (or 1000+) satellite dish is necessary if you want to receive DISH’s International programming. 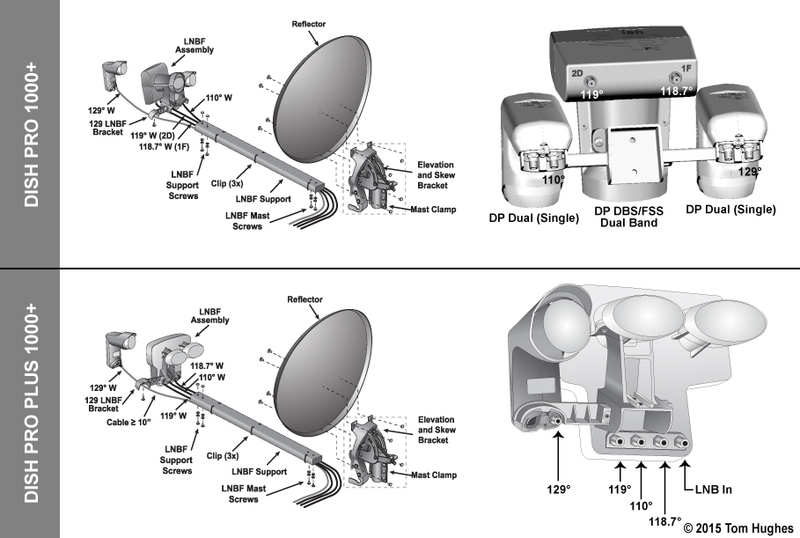 The 1000+ is a 4 LNB Western Arc dish that can receive satellites 110°, 118.7°, 119°, and 129°. The International channels are on 118.7°. There are two versions of the 1000+ . . . 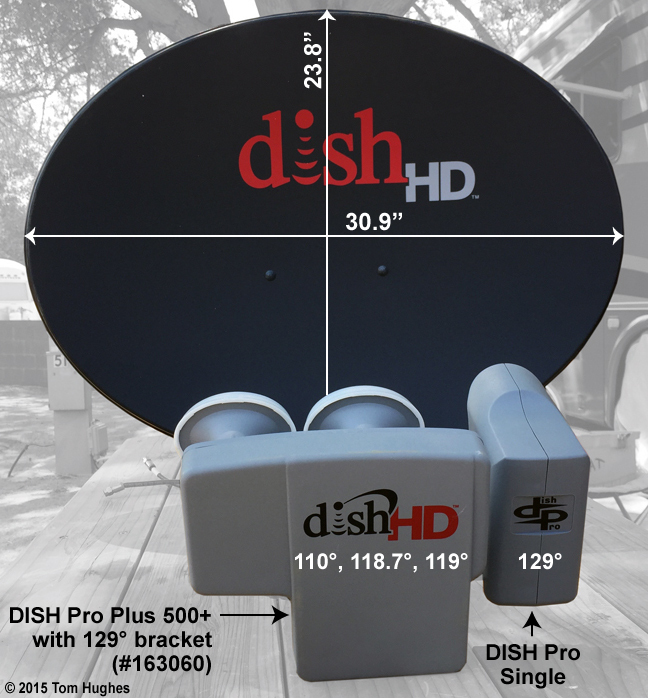 DISH Pro 1000+ — the original version of the 1000+. 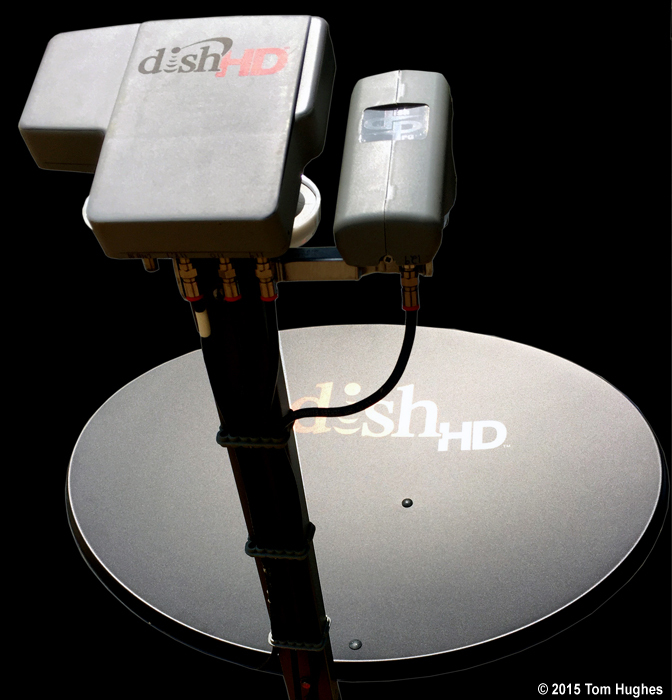 DISH ProPlus 1000+ — the newer version that has a built in switch similar to the 1000.2 and 1000.4 dishes. 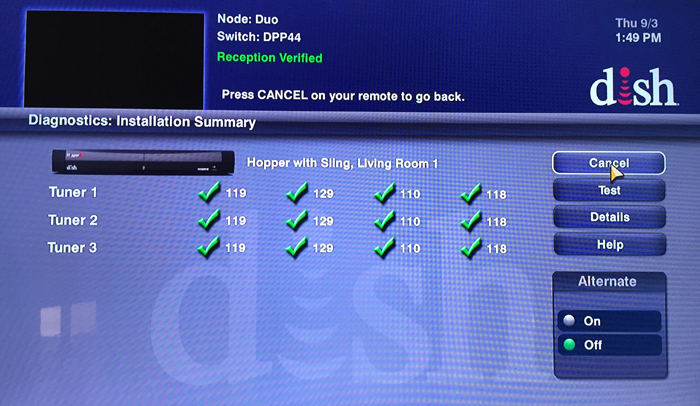 I’ve tried both versions and I give a thumbs up to the newer DISH Pro Plus 1000+ version. 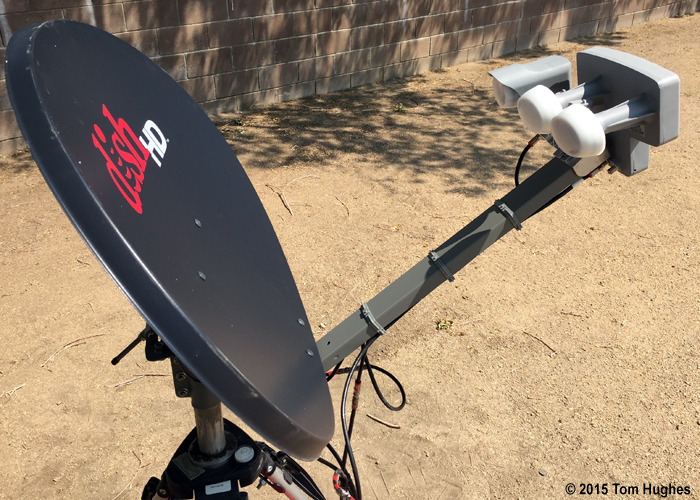 I bought the DISH Pro 1000+ from eBay and was never able to get satellite 118.7° to work so I sent it back. However, the DISH Pro Plus 1000+ version (which I bought from Dish Depot — highly recommended) is working fine. Though the 1000+ is one of the largest dishes, I found no dramatic signal strength compared to my 1000.4 Western Arc dish. Nevertheless, the 1000+ tuning controls are exceptional — similar to the 1000.4, but with SKEW single-degree tuning. 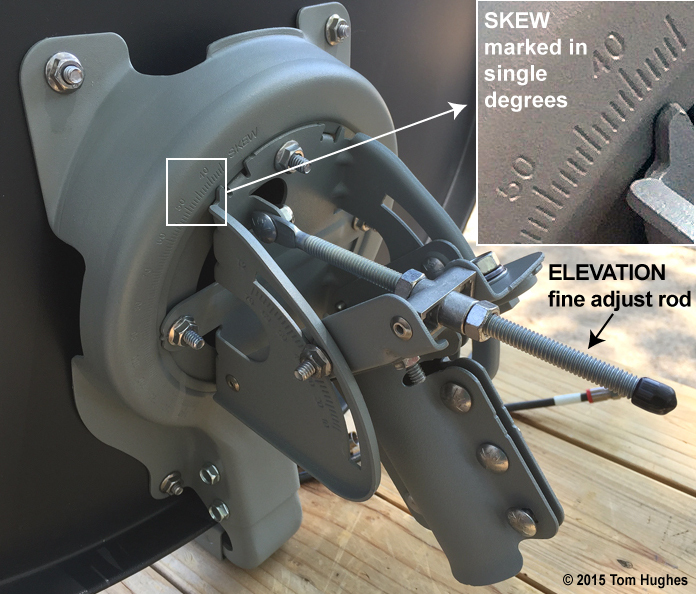 The big disadvantage of the 1000+ is you’ll have to run 4 RG6 cables from a 1000+ if you want to pick up all 4 satellites (110°, 118.7°, 119°, and 129°).